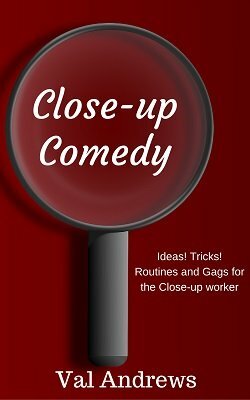 As stated on the cover, this is a book of ideas, tricks, routines and gags for the close-up worker. Not only tricks but practical ideas and presentations that can make the difference between "just another trick" and a "great trick". Presentation-Angles For "Close-Up Magic": "Magical-Menu"
Patter Presentation For "Coin In Bun"
1st edition 1977, 1st digital edition 2016, 16 pages.